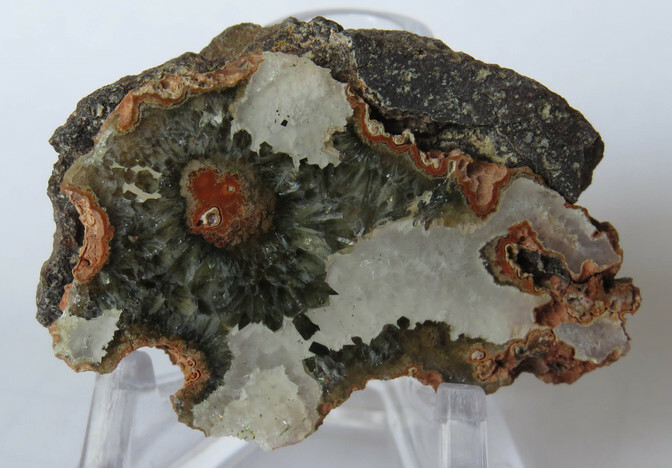 Prasiolite: Mineral information, data and localities. A green transparent variety of macrocrystalline quartz. Compare with prase and plasma. Not to be confused with prasolite! 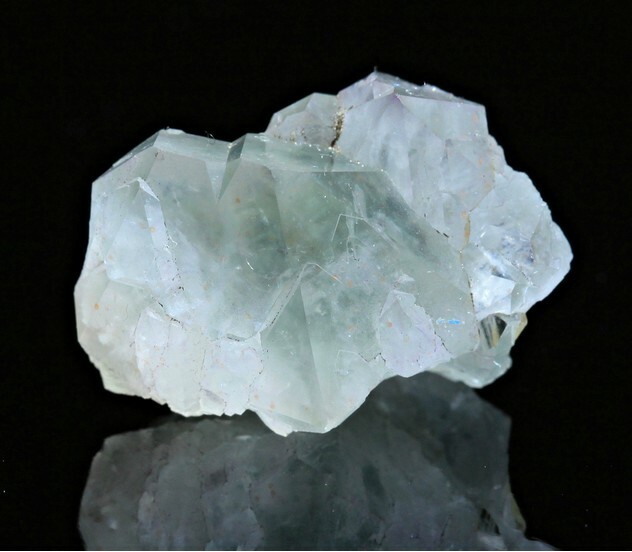 Visit gemdat.org for gemological information about Prasiolite. Agate 4 photos of Prasiolite associated with Agate on mindat.org. Amethyst 2 photos of Prasiolite associated with Amethyst on mindat.org. Nassau, K. (1977) A unique green quartz. American Mineralogist, 62, 589-590. Paradise, T.R. (1982) The natural formation and occurrence of green quartz. Gems and Gemmology, 18, 39-42. Hebert, L.B. (2008) Development of color in greenish quartz. Dissertation, California Institute of Technology. 2nd part of a Thesis (Dissertation), California Institute of Technology. Hebert, L.H., Rossman, G.R. (2008) Greenish quartz from the thunder bay amethyst mine panorama, thunder bay, Ontario, Canada. 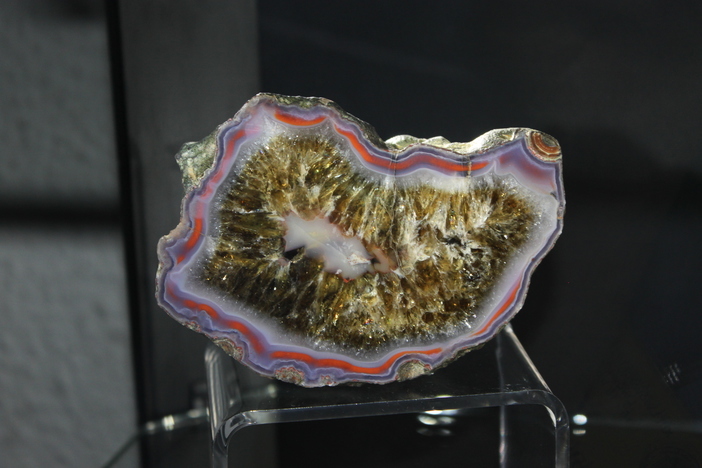 The Canadian Mineralogist: 46(1): 111-124. Lameiras, F.S., Nunes, E.H.M., Vasconcelos, W.L. (2009) Infrared and Chemical Characterization of Natural Amethysts and Prasiolites Colored by Irradiation. Materials Research, 12(3), 315-320. Lwoweckie Lato Agatowe exhibition 2010; Praszkier, T., Bogdanski, J. & Siuda, R. (2011): Agates from Płóczki Górne, Lower Silesia, Poland. Warszawa 2011,Published by Spirifer Geological Society. 200p.